Home > Kinook Software, Inc.
Found one file extension association related to Visual Build and 1 file format developed specifically for use with Visual Build. Visual Build is software for Windows that enables developers and build masters to easily create an automated, repeatable process for building and deploying software. 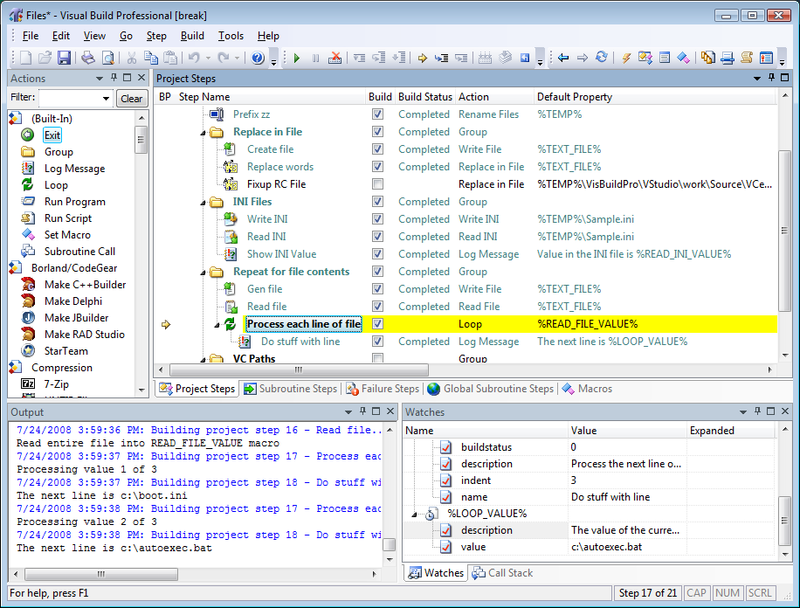 Visual Build provides built-in actions for common build commands and tools. If you need more information please contact the developers of Visual Build (Kinook Software, Inc.), or check out their product website.